I trust you’re having a good summer. My summer travels will take me to Boston for Annalise’s defense of her PhD thesis on predicting floods and droughts based on stream flows; to Nicaragua for a hiking and snorkeling vacation; and then to Vancouver BC where we will lead a one day meeting: The Science and Policy of Organohalogens in Consumer Products before the annual Dioxin meeting. 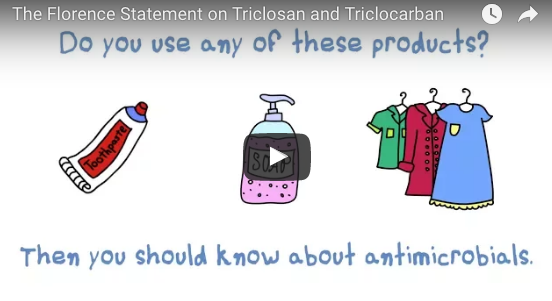 The last months have been busy and exciting for our Institute with the launch of both the Florence statement on Triclosan and Triclocarban and our series of short videos on Six Classes of chemicals of concern. Click the image on the left to view my introduction and other four minute long videos and learn more about reducing your exposure to harmful classes of chemicals. Please do share these videos with friends and colleagues for healthier products, people, and planet. Mark Leno, candidate for Mayor of San Francisco, Ken Cook, President of the Environmental Working Group and other distinguished thought leaders have joined us for a series of webcasts featuring the new videos and lively discussions. You can view these conversation by scrolling down to “other videos” on the flame retardants page for example and similarly on the pages for the other classes. 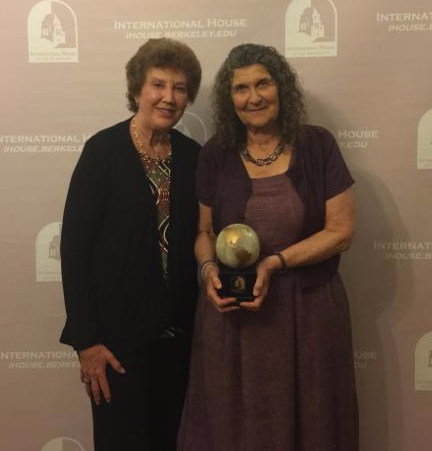 I was honored to be selected recently as Alumna of the Year by International House at the University of California, Berkeley. Chancellor Nicholas Dirks presented the solid marble award to me (it weighed at least 25 pounds!) at the Awards Gala in April. I was delighted that my good friend Juliana Roth Ordoñez from my graduate student days when we both lived at I-House, came from Bogota, Columbia especially for the event. In May, our fifth annual six classes toxics reduction retreat in the Santa Cruz mountains focused on highly fluorinated chemicals, a class of chemicals where a lot is happening. For example, New York State announced they are prohibiting state agencies from purchasing food packaging containing these chemicals. At the retreat, the 24 participants from diverse fields developed coordinated strategies to limit the unnecessary use of this whole class of harmful stain- and water-repellent chemicals. This is important since many millions of Americans’ drinking water has been found to be contaminated with these chemicals. In June we spoke with Hill staffers in DC on both sides of the aisle about the problems of communities whose water has been contaminated with highly fluorinated chemicals from production facilities and fire-fighting foam as well as what can be done to help prevent future contamination. We are happy to see some bipartisan legislation from offices we visited. Also, we are always looking to hire outstanding scientists with a passion for reducing the use of toxic chemicals to protect our health and environment. Please visit our jobs page if that sounds interesting to you. Please do check out our short informative videos to learn where Six Classes of toxic chemicals are found, their adverse health effects, and what can be done to reduce their use. We hope that by taking this opportunity to learn more about these chemicals, you and your family can be healthier. I had a great time recording the narration for the introductory video at Fantasy Studios, a world renowned recording facility in Berkeley where an impressive array of gold and platinum records recorded in the studio adorned the walls. If you enjoy the videos, I would very much appreciate your sharing this link with your friends and colleagues to spread the word. at the historic Sweetwater Music Hall in Mill Valley where great rock bands have performed. Enjoy food, drink, music and more. Learn more about our institute and the important work of our co-host Zero Breast Cancer on Thursday September 7, 2017 at 6 p.m. Please RSVP here if you would like to attend. 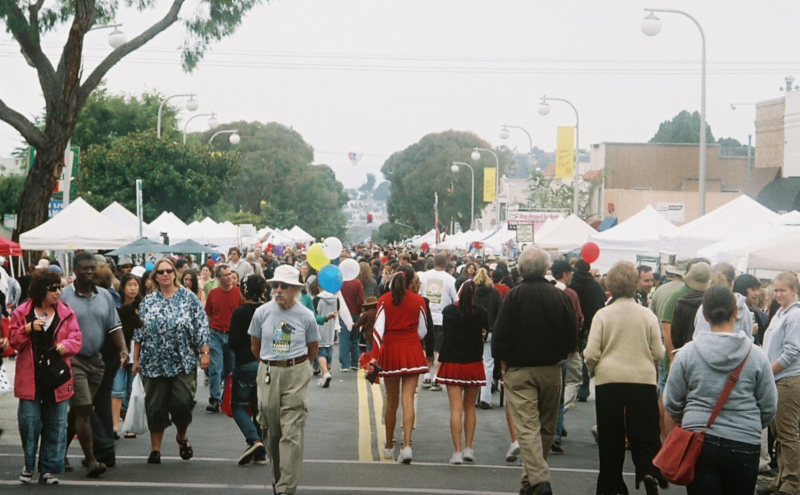 If you live in the San Francisco Bay Area, make sure to look out for us at the Solano Stroll on September 10 in Berkeley and Albany, California. We will be spreading our message about the Six Classes videos and how to reduce harmful chemicals. Come visit our booth to meet our team and learn more about healthier products with reduced toxics. 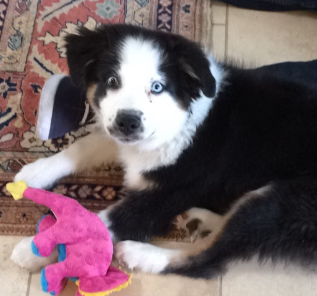 Are there toxic chemicals coating your pet food bag? A few months ago, our Institute and colleagues reported finding fluorinated chemicals in about a third of take-out food packaging samples tested. Previous research has shown these chemicals can migrate from packaging into the food that people eat. Now, we are launching a similar study to learn if our pets are being exposed to fluorinated chemicals from the packaging around their food. If you have a pet whose food or treats comes in bags, please join our study by sending us a sample of the packaging and we will can test it for fluorinated chemicals. Thank you in advance for participating. You will contribute to our study and learn if your pets might be exposed to fluorinated chemicals. Please send David an email at David@GreenSciencePolicy.org to tell him you have sent a sample. Are you buying antimicrobial or antibacterial soaps? According to over 200 scientists from 29 countries, you may want to save your money. 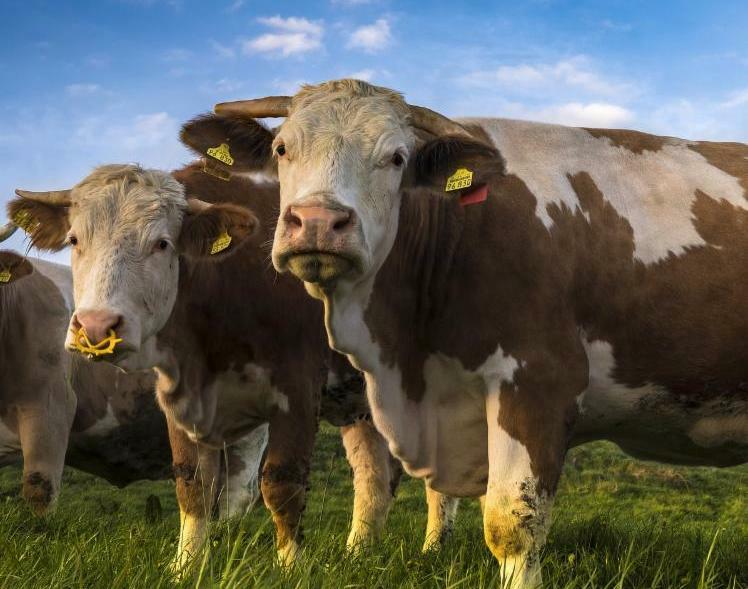 A consensus statement that we coordinated was published last week in the journal Environmental Health Perspectives concluding that common antimicrobial products do not provide health benefits and cause health and environmental harm. Check out our short animated video about antimicrobials to learn more. advises that the best way to prevent potential harm is to avoid antimicrobial products whenever possible. For tips, visit www.GreenSciencePolicy.org/antimicrobials. Recent studies showing how flame retardants harm children make us once again appreciate that these chemicals are no longer needed in our nation’s furniture and baby products. Flammability standards need to be improved so flame retardants are only used when they provide a significant fire safety benefit. An important new study from Heather Stapleton’s lab at Duke University found high levels of the flame retardant chlorinated tris, (TDCIPP), which is a probable carcinogen, in infants. The authors compared infants’ daily exposure to this flame retardant to the Consumer Product Safety Commission (CPSC) Acceptable Daily Dose and found that somewhere between 2-9% of infants had exposures higher than the acceptable dose. Some of the infant’s levels were nearly three times higher. 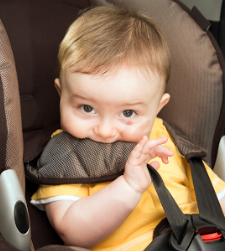 The infants exposure to TDCPP is likely a result of the flame retardants use in car seats and other products. Researchers used silicone wristbands to assess exposures of preschool students to flame retardants and examined relationships between exposure levels and emotional and social behaviors. Children with higher exposures to polybrominated diphenyl ether (PBDE) flame retardants were assessed to be less assertive. Children with higher exposures to organophosphate flame retardants – common replacements for PBDEs – show less responsible behavior and were assessed by their teachers to have behavioral problems including aggression, defiance, hyperactivity, inattention, and bullying. Do flame retardants provide a big enough benefit to justify their health and ecological hazards? You can minimize your and your family’s exposures to flame retardants. Learn more on our website about what you can do to reduce exposures to flame retardants and more about these chemicals from our new short video. Earlier this month, Northeastern University hosted an inspiring conference where members of communities with water contaminated by highly fluorinated chemicals shared their moving stories. One memorable image showed children at a picnic being sprayed by foam containing PFAS. Video recordings of many of the presentations have been posted online. You can read the rest of Watershed here. A panel of experts including Executive Director Arlene Blum will discuss ways that cheap, disposable plastic is leading to a saturation of our environment and bodies. Plus, learn about possible solutions, including policies and alternative products. Please visit this page to RSVP and for more information. Before the 2017 Dioxin symposium in Vancouver BC Canada, leading scientists will share their expertise on the science and policy of organohalogens in consumer products. The focus will be on flame retardants and fluorinated chemicals. You can register here. A presentation and discussion on Highly Fluorinated Chemicals by Executive Director Arlene Blum. Light refreshments will be served. 5:30-8pm Pacific, at VF Outdoor, Inc. 2701 Harbor Bay Parkway, Alameda, CA 94502. Please RSVP with Karen Muhlin (karen_muhlin@vfc.com) if you plan on attending. You are invited to celebrate the launch of our Six Classes videos in Mill Valley on the evening of Thursday September 7, and learn more about our current work and that of our co-host Zero Breast Cancer. Please RSVP here (or to Raphael) if you would like to attend. We will be spreading our message about the Six Classes videos and how to reduce harmful chemicals. Come visit our booth.